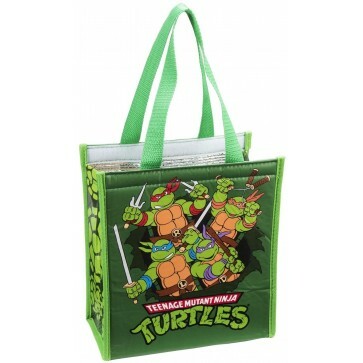 Teenage Mutant Ninja Turtle Insulated Shopper Tote is turtley awesome! Ideal for grocery shopping or to pack your lunch! Made from 25% recycled material 9" x 4.8" x 10."